Shiatsu, sometimes called Japanese Physiotherapy, is form of body work to relax and invigorate the body-mind. It is a very enjoyable and empowering whole-being therapy with roots in traditional Chinese Medicine. 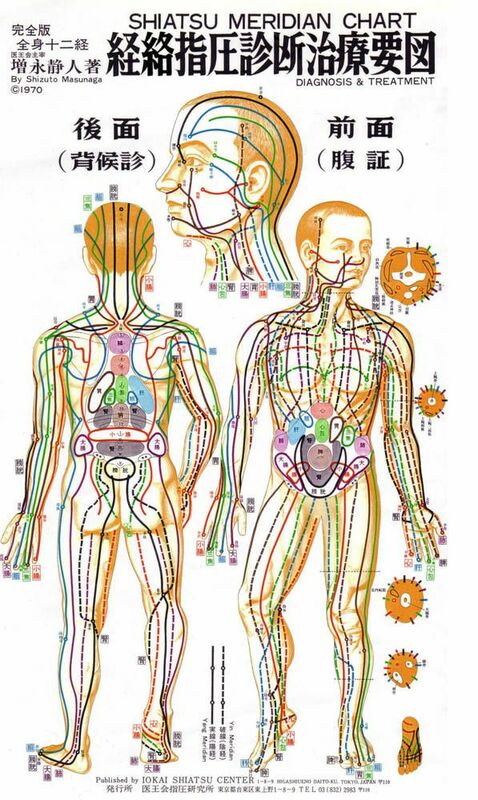 Shiatsu combines the use of energy channels and Acupressure points. These allow easy access the body’s Qi . Qi is the universal energy that animates all of life. In a healthy body Qi flows smoothly, supplying all bodily systems with health and vitality. A reasonably healthy body can adapt around injury, stress and trauma to minimize the effect upon the rest of the body, but extra energy is required to perform normal bodily functions. As years pass, the adaptive patterns lose their effectiveness and symptoms may appear. Parts of the body may be in pain, stagnant, tired or depleted. Good health depends on life force flowing freely throughout all physiological systems of the body. To achieve this, Shiatsu uses a range of techniques may be used in response to your condition and need at the time of each treatment. To support and balance a body’s energy profound stillness and holding may be offered. To mobilize joints, to release and revitalize deep pressure, limb rotations and strong stretches may be used. This works to stimulate circulation, improve joint mobility, releases toxins and deep tension, supporting the hormonal and nervous systems. Alongside sessions Alexandra offers supportive practices, which you may like to integrate into daily life: Qi Gong, meditation, relaxation techniques and dietary recommendations.